In natural gas, our roots go as far back as the 19th century. Our affiliation with the PGNiG Group provides us with independency through gas procurement directly from group-owned sources. Direct access to Norwegian exploration fields through our sister company PGNiG Upstream Norway AS means that we can offer security of supply at fair conditions not just to end customers in Germany, Austria and Poland, but also to our counterparties. This puts us in a unique position as your reliable gas trading partner. 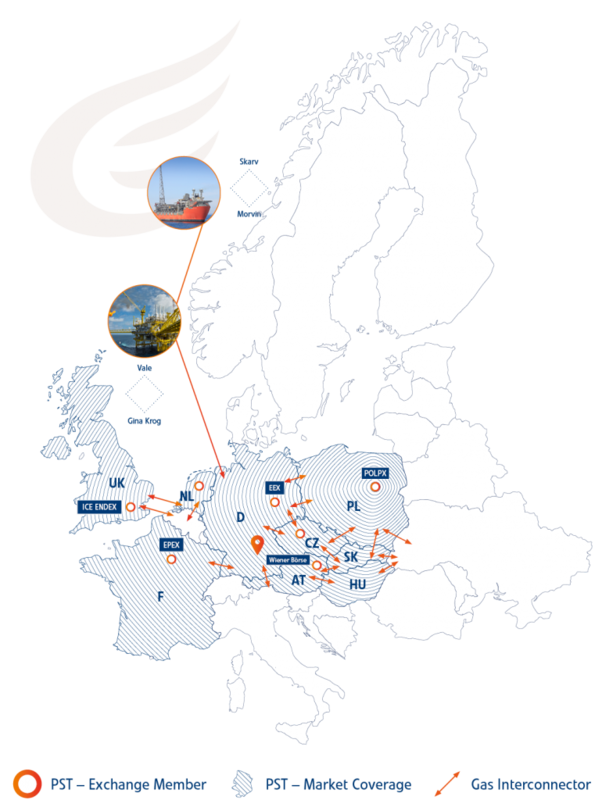 Our gas trading benefits from substantial market coverage in Central and Eastern Europe. With our core market areas being Gaspool, NetConnectGermany, and TTF, we are actively expanding our presence in Europe, currently covering 10 different markets. From standard base and peak products to highly individualized profiles at fixed or indexed prices we are ready to meet our counterparties’ needs. We trade on the wholesale market- on the prompt/spot as well as on the forward basis.